The Culler family was not originally from Richland County. However, they quickly adapted to life in Ohio and they are now considered one of the most storied agricultural families in the area. Jacob Culler settled in Frederick, Maryland after he and his family emigrated from Europe. Their exact arrival in Richland County, Ohio is up for debate. The 1820 United States Census showed the family living in Maryland and the 1830 Census confirmed their residence in Ohio. Jacob’s brother, Michael Culler, participated actively in the family church around 1818. Mt. Zion Church is still attended by the Culler family in Ohio. The main Culler Farm was purchased from Adam Wininger by Jacob on November 4, 1825. Jacob’s original 160 acres, now 157, sits across the road from where John and Sheri currently live, in Lucas. The family still has the original land deed that was signed by John Quincy Adams in 1827. Even though Jacob Culler made his first payment in 1814, deeds were not issued at that time until payment was paid in full. It is speculated that the original 160 acres cost approximately thirteen or fourteen dollars an acre. It was not enough to just purchase land; farmers had to have a water source. A natural spring is located along the Culler property, which is the most likely reason why Jacob Culler bought the land. At John’s uncle’s property there was a larger spring, so many of the Culler’s first buildings were built on this ground instead. Farm locations depended on water. Farming remained fairly generalized after the Culler family moved to Richland County. The family raised chickens, hogs, sheep and Milking Shorthorned Cattle, which were used as both beef and dairy cattle. As time passed, Guernsey cattle took the Milking Shorthorned Cattle’s place. John and his brother, Dave, can remember milking them throughout their high school years to this day. John noted that until the 1930’s, when his grandfather was farming, operations remained similar; families all grew identical crops and raised identical animals. It was not until the 1930’s that the milking industry changed. John’s grandfather had three sons and each were capable of milking cattle. Because of this, the Culler family expanded their dairy operation. Family size and farm size often went hand-in-hand. The Culler’s use diaries written by David Rugh Culler and Harlen Culler, once resident of the present Culler’s house, to recall memories around the farm long ago. However according to Sheri Culler, John’s wife, the diary talks about plowing fields, hauling and splitting wood and taking care of the orchard. Rarely does it ever mention milking a cow. If Harlen Culler ever participated in a dairy operation, it was one that merely provided milk for the family. Family came first; abundance, usually rare, may have been sold for extra money in order to pay land taxes. Agricultural changes and improvements are crucial in understanding the development of farming in the area. When asked about significant advancements in technology, John pointed to electricity and what a difference it made. 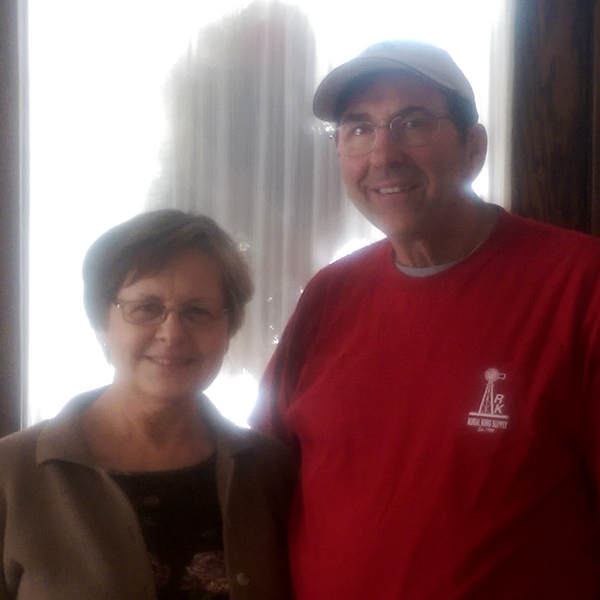 The Culler family received electricity faster due to a nearby power plant, situated three miles away from the farm, along the Black Fork River. Once installed, electricity-powered milking machines, replaced milking by hand. Herd expansion and productivity followed. Impressed by their efficiency, John’s grandfather wrote his Surge milking manufacturer letters explaining how much their equipment helped the milking process. Another major transition in agriculture was going from horses to tractors. 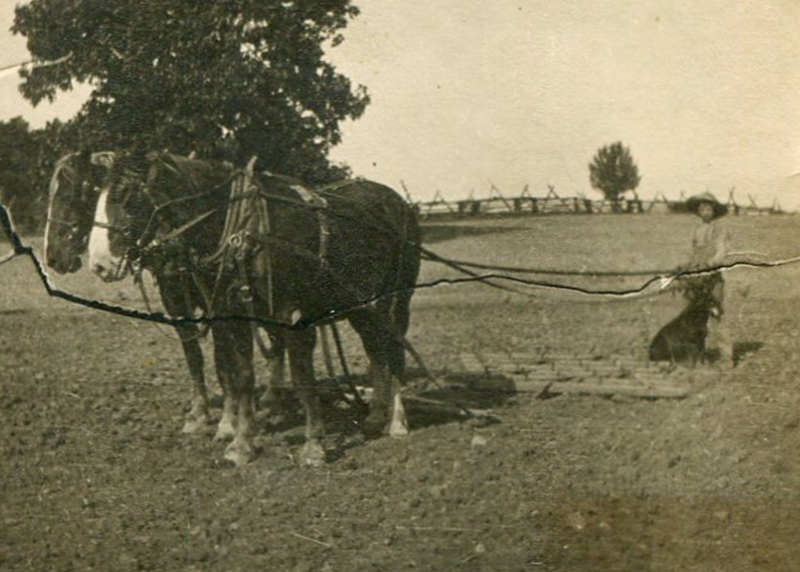 John’s grandfather was reluctant to give up horse-powered equipment, so both were often used simultaneously until tractors were permanently introduced. John’s father was born is 1920; shortly after, tractors became popular – most likely due to World War I’s industrial success. Because John’s grandfather liked Ford equipment, the Culler family purchased a Ford. The family still owns some older equipment; a reaper is housed in a barn at Dave’s house. John explained that a reaper was a horse-powered machine used to cut wheat, instead of cutting it by hand. This vastly improved the amount of wheat that one man could cut in a day; reapers were truly revolutionary pieces of equipment. After all, wheat was considered a cash crop. Like the reaper, the tractor powered plow also revolutionized farming in the first half of the twentieth century. John stated, “When you look at a tractor having 20 horse power, that would be the same as twenty horses and one man . . . that was really a big step, so it allowed them to do the tillage work so much faster and so much easier than they were ever able to do before.” With farming equipment continuing to get bigger, farmers today are having trouble transporting it on country roads. John believes that from now on size will be the “limiting factor” in how large equipment can be manufactured. Successful harvests often required preparation. The Culler family, like most farming families, used their livestock manure to replenish nutrients in the soil that crops had removed. They also added lime to the soil so that pH levels remained neutral – allowing nutrients to be absorbed by plants more efficiently. Over time, John learned to not till waterways because it only created ditches in fields and promoted erosion. The Cullers implemented No-Till earlier in their farming history; they had some success and some failure. Ultimately, they decided to reduce their tillage instead of strictly operating by No-Till practices. Today, John strip-tills one hundred percent of his corn harvest, which he admits is not as conservation-friendly as all No-Till, but it works for their operation. Pesticide and weed management was necessary on the farm. 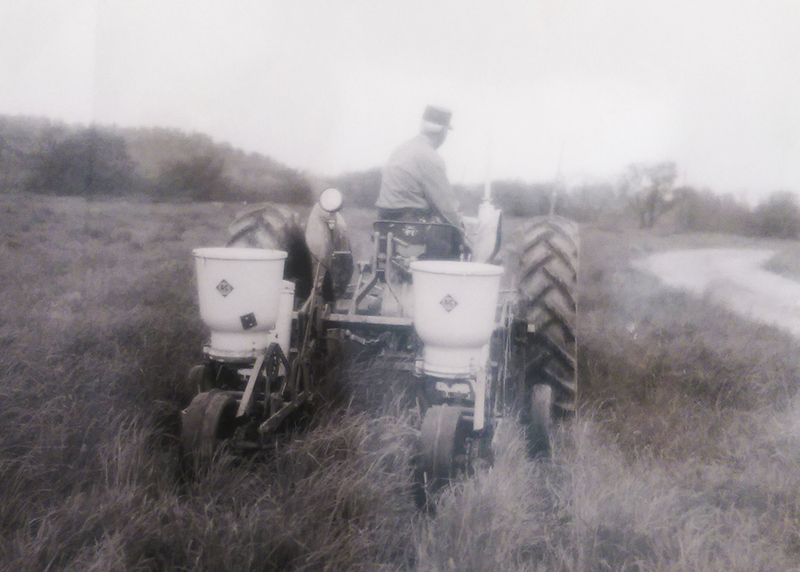 Like many farmers, John’s father’s first weed control chemical was 2, 4-D, a broadleaf weed controller used in the 1950’s and still today. Later on, the Culler’s adapted to Atrazine and other chemical advancements. Chemicals were not the only solution used to prevent unwanted plants in fields. Before tractors were introduced, the Culler family cultivated in diagonal patterns with horses in order to reduce grass in fields, which 2, 4-D did not treat. The only drawback with this method was that crop numbers were limited because the horse required more space in between crop rows. Atrazine controlled many types of grasses that 2, 4-D did not – “a dream come true,” according to John. Eventually, John and most farmers started using Roundup Ready seeds which made weed control even simpler. 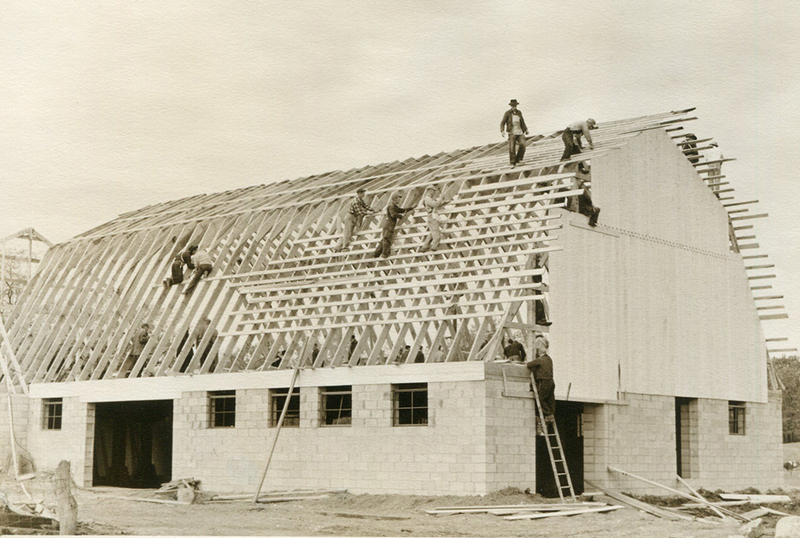 Over time, the Culler family transitioned from beef and dairy cattle to strictly dairy. Today, nearly 100 years after the family shifted its focus to the dairy industry, John milks between 150 and 160 dairy cattle. As far as crops are concerned, the Culler family raises corn, beans, wheat and alfalfa, in addition to livestock. When asked why he started farming John replied, “I pretty well had my heart set in doing whatever it took so that I could stay and work on the farm. I enjoyed working with the animals.” John’s youngest son, Adam, has taken over daily chore responsibilities; meanwhile, John still harvests crops. To John, crop farming was much more enjoyable than working with livestock. He explained, “It seems like you have to pay your dues so you can get to that point,” while laughing. His oldest son, Matt, is involved in soil sampling and fertilizer application based on the needs of particular soils at Ag Info Tech. Although John’s older son works for another company, he helps out around the farm with equipment and offers advice to his father and brother. After relocating to Richland County from Maryland, the Culler family planted strong agricultural roots in Lucas. Like most farmers in the area, John Culler does not farm for the money, he loves what he does; this is what makes the Culler family history so beneficial to the citizens of Richland County.